The highly anticipated opening week of the 2017/2018 Cosmo season is finally upon us. 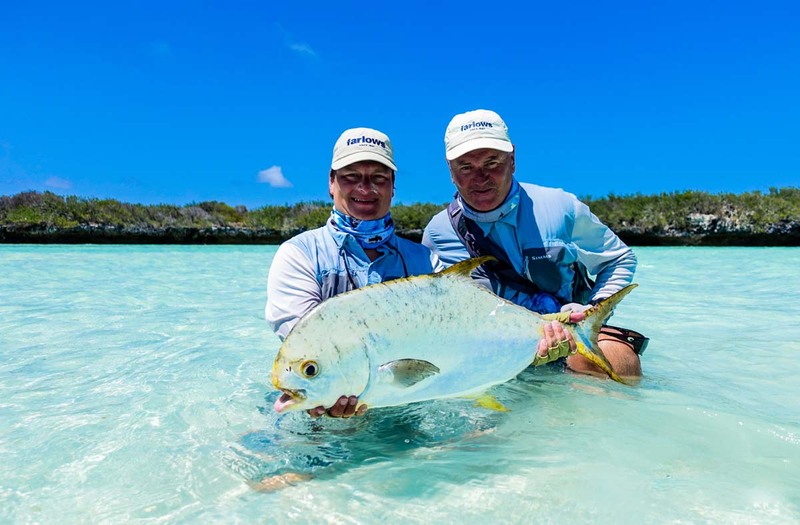 This week saw the return of good friends and clients to the Alphonse fishing family, Vladimir R and his crew. Although Cosmoledo is well regarded as the GT Capital of the World, this group came into the week with a few different goals in mind. It didn’t take Igor P long to set the standard for the week. 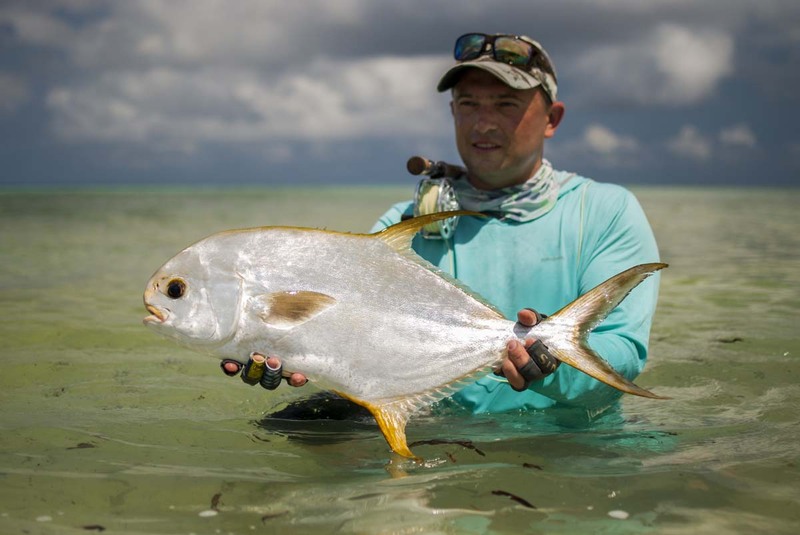 With his boots barely wet he landed the first Indo-Pacific Permit of the season. 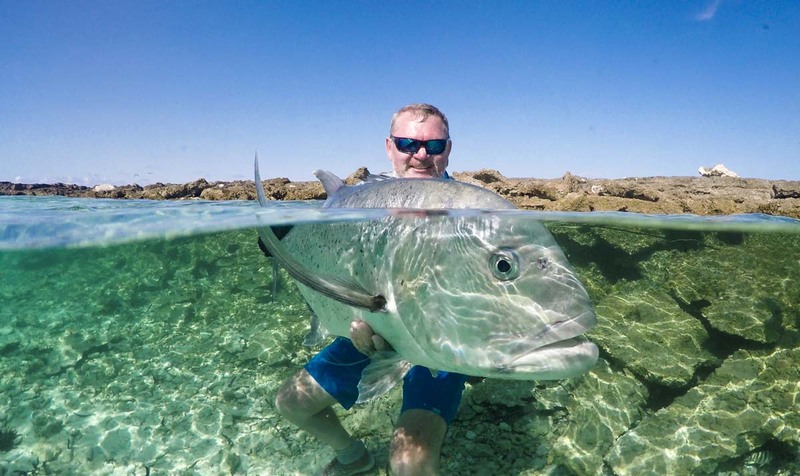 Not to be out done, Alexey S got his hands a fin perfect Permit to follow up on Igor’s success. 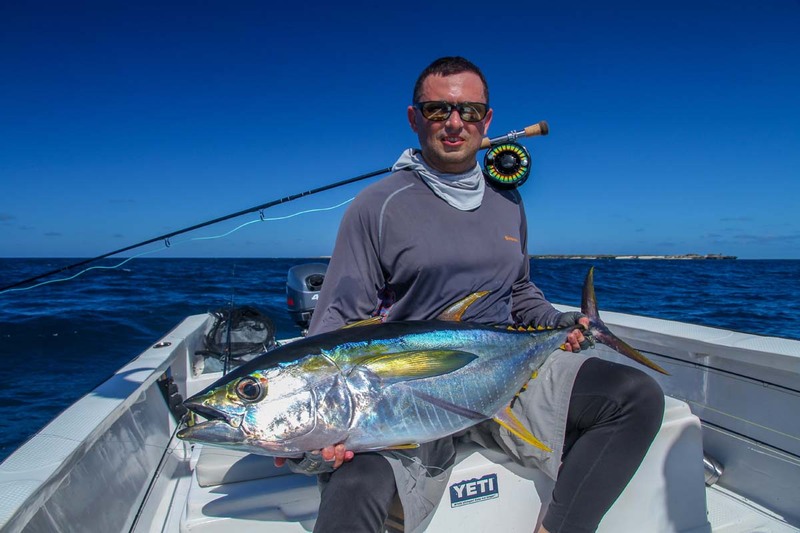 Undoubtedly the fish of the week goes to Grigorii M with a giant 74cm Permit to round off the three gold bars landed. 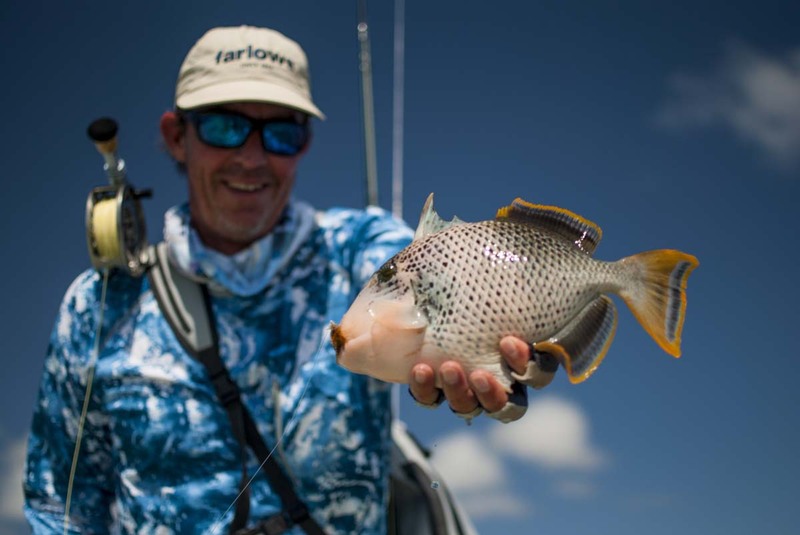 Grigori continued with his good fortune by landing two Moustache Triggerfish. 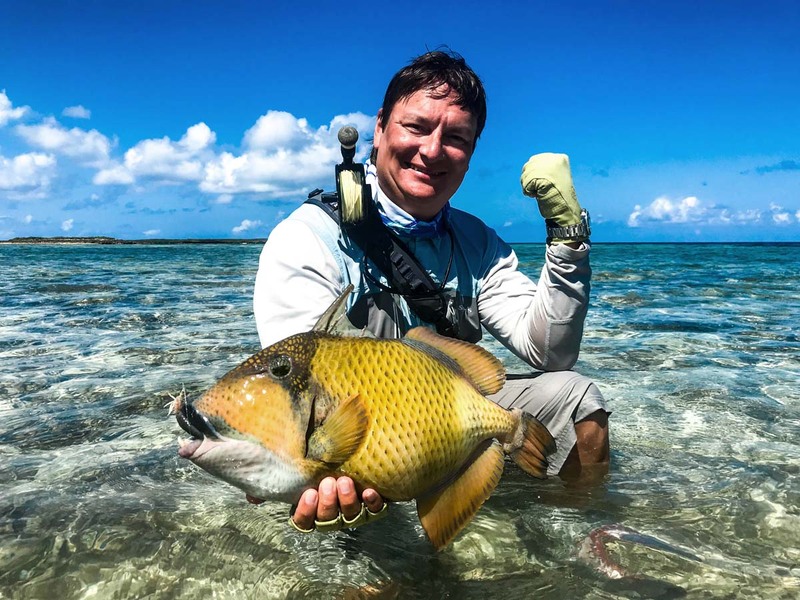 Justin McC had a stellar return to Cosmo by landing a heap of GT’s as well as all three of the Triggerfish species we target on our flats which include the Moustache, Yellowmargin and Picasso Triggerfish. 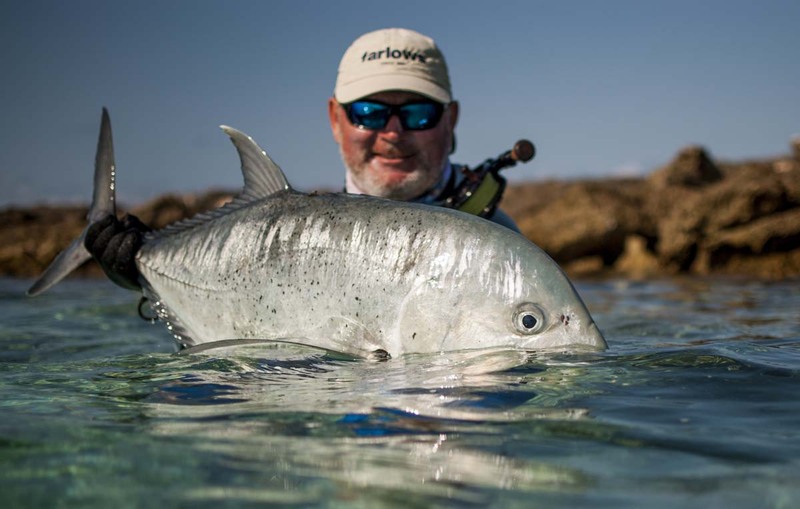 Sergei P had a great weeks fishing landing multiple GT’s and setting the bar with a GT of 103cm. The neap tide week ended with 78 GT’s, 2 Yellowmargin Triggerfish, 3 Moustache Triggerfish, 3 Indo-Pacific Permit and a bunch of Bones. All in all a great week was had by both guide team and guests alike. We look forward to what the rest of the season has in store for us. 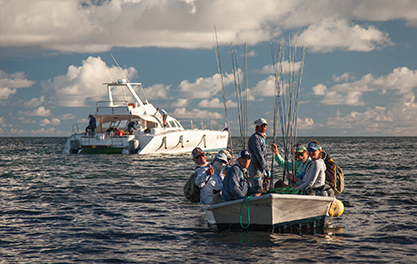 Tight lines from the Cosmo Team and our eight departing anglers!